Go right back to the times of the pharaohs and mysterious deities in the Eye of Horus slot. This Reel Time Gaming slot that has ten selectable paylines and two symbols that pay 1000x coins on the line bet - one of which, the Eye of Horus - can be substituted by the Horus Wild. The scatter pays 1000x as well and grants 12 free spins that come with upgrades that are kickers to the gameplay. This is a very fun game to play with inexpensive bets and great winning potentials. Find out more about the Eye of Horus slot here. If you want to feel that magical vibe of Ancient Egypt, then you should give the Eye of Horus slot a shot. You will be surprised by the cool bonus features and everything else that this game has to offer. So, place your bet and start spinning the reels. 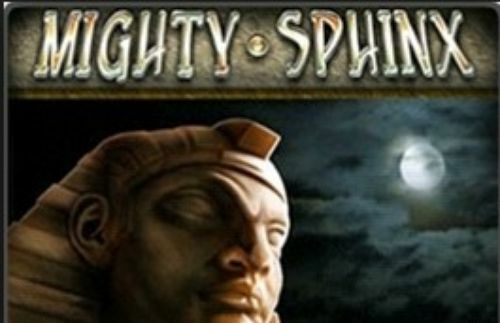 If a game that depicts Ancient Egypt sounds like your cup of tea, then you should definitely consider trying this game out. Eye of Horus slot is particularly popular in Germany, but plenty of UK players also enjoy spinning the reels of one of the most exciting Egyptian-themed games. This is a game that features an above-average RTP, compared to most other available online slots, so that’s another pretty strong reason why players like it as much as they do. Furthermore, this is a game that can be played on all sorts of devices, including both desktop computers and laptops, as well as smartphones and tablets. Keep reading this review if you want to know more about this game, it’s setting, features, and basically everything there is to know about Eye of Horus slots. Eye of Horus in no way is the first, or the only slot game with an Egyptian theme, and when we say Egyptian theme, what we really mean is Ancient Egypt. Sure, Egypt today is also quite exciting and we’re sure that you would enjoy visiting it, if you haven’t already, but the sandy beaches and hot summers are hardly a match for all the pharaohs, sphinxes and mythological creatures that “resided” in Ancient Egypt, or in the Ancient Egyptian mythology, to be more precise. It may be a tad difficult, at least at first, to see why this theme is so appealing and why there are so many slots with an Ancient Egyptian theme, but if you think about it, it’s not that difficult to see why this theme has such an appeal. After all, there are so many symbols and elements that can be incorporated and included in an online slot game such as tombs, sphinxes, pharaohs, mystical and mysterious creatures and what not. After all, there wouldn’t have been that many slots where the action on the reels supposedly takes place in Ancient Egypt, if the theme wasn’t so popular. 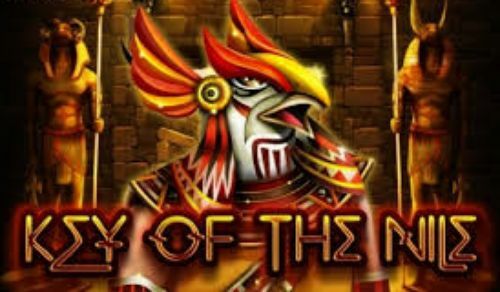 Online slots developers give players what they are looking for, so if players are looking to see sphinxes, pharaohs, or in fact, the Eyes of Horus on the reels, then that’s what the online slots developers are going to deliver. In fact, they have actually delivered, as there are dozens, if not hundred online slots with an Ancient Egyptian theme. It is interesting to note that some of the first online slots, or at least some of the first games that became immensely popular featured an Ancient Egyptian theme. As time passed by, technology improved and developers were able to create games that were a lot more exciting and a lot more visually appealing, compared to earlier edition. This allowed them to play with colours and graphics. Nowadays, it is hard to find a newer game, or to be more specific a high-quality one that doesn’t include animated graphic features. The actual story of the Eyes of Horus is a pretty mysterious one. Horus is one of the most prominent Ancient Egyptian deities, usually considered to be the son of Osiris and Isis. Horus is mentioned in the Osiris myth where he plays an important role. This god was often incarnated as the new Pharaoh, most often succeeding the deceased Pharaoh. The Eye of Horus, which is one of the most remarkable Egyptian symbols, is considered to be a symbol of protection and power and it is often seen on images depicting Isis, as well as representations of other deities and creatures from Ancient Egyptian mythology. Horus’s father Osiris, according to the myth, was killed by Seth – the god of violence and disorder who eventually came to rule the Underworld. On the other hand, Horus was often depicted as a falcon and it was believed that he was represented by the Pharaoh, or the king of Egypt on Earth. Be that as it may, the Eye of Horus is one of the most representable symbols, also known as the Wedjat. The first thing you will notice when the Eye of Horus starts is that the reels are placed against a pyramid. Perhaps you didn’t know, but the Ancient Egyptians used their pyramids as tombs were kings and pharaohs were buried. One of the common beliefs in Ancient Egypt was that the pharaohs are reincarnations, or earthly representations of the gods, and that is also reflected in the Eye of Horus online slot game. The Egyptians often inscribed the symbol of Horus, or the Eye of Horus on the inside walls of their pyramids and on the reels of the Eye of Horus slot you will also see a range of ancient hieroglyphics and other related symbols. In addition to thematic symbols, such as the Eye of Horus and the hieroglyphics, there are also standard card symbols – J, Q, K and A. As all other games, Eye of Horus has paylines and if you wish to have a look at the possible ways to win, as well as the amounts that you can win when wagering particular amounts, you will need to have a look at the paytable. If you have a look at the paytable before you start playing the game, you will know exactly what to expect from it. When it comes to wagering per line, you can control your wager via the plus and minus buttons, to increase and decrease your stake respectively. There are ten paylines, so your wager per payline will be multiplied by ten and that will give you the total stake per spin. You will also notice that the game comes with an Autoplay feature which gives you a chance to set the reels to spin automatically, without additional intervention. Finally, we have the Spin button, also called Play which is probably the most important button, for obvious reasons. Eye of Horus slot has five reels, 3 rows and 10 paylines. That’s a pretty much standard layout, nothing unusual there. If you have played at least a few slot games before, you have surely noticed that most of them feature a five by three layout, so nothing out of the ordinary there. As we already mentioned, the game features ten paylines, but not all paylines have to be active at all times, i.e. you have the option to choose the number of paylines you’d like to wager on. However, beware that if you decrease the number of active paylines, you won’t be able to win if a combination occurs on a payline that has been deactivated. 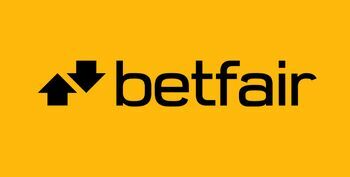 The minimum amount that you can stake per payline is one penny, and you can increase your wager all the way up to £2, which would set the overall stake to £20 if all paylines are active. However, if you wish to play with just one active payline and you go with the minimum stake amount, you will be able to play Eye of Horus slot with just a single penny. We already mentioned the autoplay button and if you activate it, the reels will start spinning automatically, without you having to press play each time, before each spin. If you click on the button a second time, after the autoplay has been activated, you will stop the feature and go back to manual spinning. You can set the number of autoplay spins that you’d like to activate by using the two buttons that appear when you click autoplay. By clicking on the left button, you will decrease the number of spins, whereas if you click on the right button the number of spins will be increased. You can set the number as you wish. The number of spins that is selected at any given moment is displayed between the two buttons. 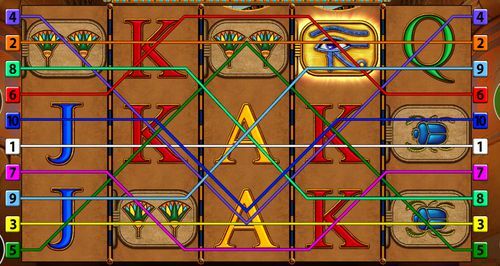 For a win in Eye of Horus, as it is the case with many other slots, you will need at least three instances of the same symbol across an active payline. The symbols need to be arranged from the leftmost towards the rightmost reel, not the other way around. Combinations that start at the rightmost reel and go towards the leftmost reel aren’t combinations at all, i.e. aren’t registered by the system. That is the case with most online slots, combinations are only calculated if symbols are arranged from the leftmost towards the rightmost reel. The Eye of Horus is a special symbol in this game which makes perfect sense and your winnings will be multiplied whenever this symbol appears on the reels. The Eye of Horus also plays the role of a substitute for all other symbols, the technical term for this type of a symbols is ‘wild’. There’s another special symbol in Eye of Horus slots, it is a Golden Door and it plays the role of a scatter, also called a bonus symbol. If you get Horus, i.e. the Eye of Horus symbol during free spins, you will get to play additional free spins, if you get three Horus symbols you will be awarded five additional spins, whereas for two symbols you would get two spins. One Horus symbol awards a single extra spin. The minimum amount that you can win in Eye of Horus slots is five coins, i.e. five times the amount you’ve wagered per payline. So, if you’re playing with £20, and you hit the minimum combination which is three instances of any of the card symbols, you will get £10, or half of what you’ve wagered. On the other hand, if you get five instances of the same card symbol across an active payline you will get 100 coins, or ten times more than your total stake per spin. If you get combinations consisted of some of the other, more valuable symbols, you can expect more valuable prizes as well. For instance, if you get five instances of the falcon you would get a 300-coin prize, whereas five instances of the sphynx-style cat symbol will result in a 400-coin prize. The maximum prize that you could win in Eye of Horus slot is 500 coins and this is amount is awarded for five instances of the scatter symbol, as well as for five instances of the Eye of Horus wild symbol. The Eye of Horus slot game has one of the coolest bonus features ever made, and that’s what makes it extraordinary, especially if we compare it to online slots that have fewer and more, so to say, boring bonus feature. If you manage to activate them, you can expect some pretty exciting prizes. In order to trigger the free spins bonus feature, you will need to land at least 3 scatter symbols, anywhere on the reels. Activating this feature will result in up to 12 free spins. In fact, you will need at least three symbols to get a dozen free spins. During the bonus game, i.e. during the Free Spins, you can actually get additional spins, as long as you get extra instances of the bonus symbol on the reels. We already mentioned that with three symbols you would get five spins, whereas two symbols will award you two spins. One symbol equals one extra spin. After each winning spin in Eye of Horus, you have a chance to double your winnings, of course that implies that you could also lose the winnings you’ve acquired thus far. It is up to you to choose whether you wish to activate this feature but be careful with it. Basically, when you activate the Eye of Horus Gamble Feature you will need to guess the colour of a card that this is hidden. You can either step up the ladder if you correctly guess the colour in which case you will have a chance to collect your winnings, or keep playing, i.e. go for another round of double or nothing. You surely understand how these things work – the chance is fifty-fifty, both outcomes are equally likely and equally unlikely to happen. Again, even though we mentioned this once – you need to approach this feature with caution. We know that the prospect of doubling your winnings is quite appealing, but don’t forget that you might lose what you’ve actually won instead. Still, it is good that this option is also at your disposal, you can choose whether you wish to activate it or not. The return to player (RTP) percentage gives us the theoretical return rate for each game, in the case of Eye of Horus that percentage is 96.31%. You will see a lot of instances where RTP is explained using pound (£) symbols instead of percentage. You should know that 96.31% RTP doesn’t mean that the game would return £96.31 out of every £100 that have been wagered. That’s not how it works, as we mentioned, the percentage is theoretical. Now, we still haven’t explained how the RTP works. The game developers set the theoretical RTP percentage when they create the game. This means that the game will return that amount, i.e. that proportion of the total wagers, but in the long run, calculated over a course of hundreds of thousands, if not millions of spins. So, don’t expect that percentage to be replicated in a short session. In fact, the fewer spins you play, the less likely it is the RTP for the whole session to match the game’s advertised RTP. Of course, every player hopes that they will be one of those who manage to win more than what they’ve wagered, i.e. that their bankroll balance will be positive. If everybody got the RTP percentage that was advertised for the game, then the game wouldn’t be random at all, it would be easy to predict the outcome. With an RTP of 96.31%, Eye of Horus is better than many online slots, as a percentage of about 96% is considered to be slightly above-average and Eye of Horus slot features an even higher percentage. Volatility is another term that’s closely related to RTP, but it is not the same thing. Volatility signifies the standard fluctuation from the RTP, meaning that if you’re playing a highly volatile game you can’t expect to win very often, but the winning amounts would be rather high. On the other hand, if you’re playing a game with a low volatility, you could expect to win more often, but the amounts won’t be too high. Technically, there is no Eye of Horus slot jackpot in the strong sense of the word. We already told you what is the maximum winning combination that you could get in this game, but if you manage to activate the bonus feature and you are fortunate enough to hit multiple winning combinations during your free spins, then you would definitely get an amount that’s significantly higher than the top prize that’s otherwise available in the main game. This is a non-progressive game, so there is no progressive prize that grows with every wager. Don’t worry if you’re completely new to the world of online slots, even if Eye of Horus slot is the first online game that you play. The game is pretty straightforward, you won’t have any troubled getting used to it. In fact, the game might be just the right option for those who haven’t played a lot of slots, or even those who haven’t played at all. The graphics aren’t too flashy either, which is a good thing if you’re eye isn’t accustomed to online slots and how these games work, as many of the newer online slots tend to be quite flashy and colourful. The symbols are clearly drawn and simple, even those who depict hieroglyphics. The theme itself is also pretty straightforward, Ancient Egypt is something we are all quite acquainted with, no matter if we play online slots regularly, or not. There’s another reason why Eye of Horus is a good option for you if you are new to online slots. 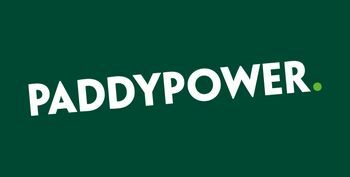 Firstly, the RTP percentage is quite decent, as we mentioned, it is 96.31%, which is higher than the majority of games you could play at most online casinos. In fact, even if we compare it to land-based games, the RTP is still a bit higher. The volatility isn’t too high either, which means that the game isn’t too risk, and that’s the first thing that a new player should be looking for – a game that isn’t risky. With its five paylines and relatively simple bonus features the game ticks all the boxes for an inexperienced player, as you certainly won’t find yourself wondering what is going on or how to proceed next, as the bonus feature is triggered when you get a certain number of bonus symbols on the reels. You have plenty of options when it comes to the stake as well, so feel free to experiment, as long as you bet only what you can afford to lose. If you are a new player, it is highly advisable to stick to lower wagers, and not push your luck too much. On the other hand, slots are games of chance and there isn’t a difference between new players and experienced punters in terms of gameplay. Still, you will need to be aware how slots work, how much you could bet, and how much you could afford to lose. This game may not come with a lot of bonus features, as some other online slots, but it is still quite exciting and has a lot to offer to an experienced player. On the other hand, the features are very interesting, even if there are only two of them. We already mentioned the low volatility and how it makes the game particularly suitable for new and inexperienced players, but it doesn’t mean that low volatility games aren’t suitable for experienced slots players as well. When a game has low volatility, you can assume that a session will last longer, as there won’t be too many drastic changes in your bankroll, you can expect to get a bit more wins with lower winning amounts. 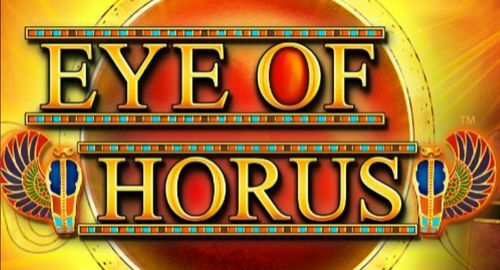 The online version of Eye of Horus slot that we’re reviewing here was developed by Reel Time Gaming, a company that has developed quite a few attractive and exciting online slots, including games that are suitable for experienced players and high-rollers, as well as games that are fit for rookies. 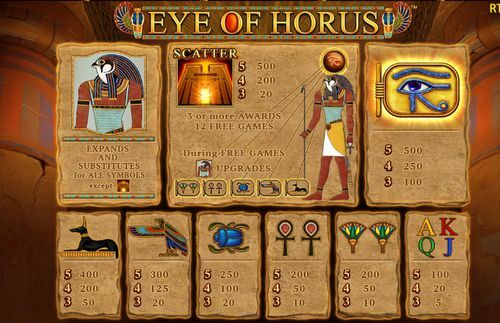 Eye of Horus slot is a mobile-friendly game, it is available on different mobile platforms, so you aren’t limited to using your desktop computer of laptop if you intend to play Eye of Horus. You can play anywhere, anytime, as long your internet connection is stable. If you lose connection, there’s no need to be terribly worried, the game will continue right where you left off once connection is restored. You won’t lose the funds you’ve won on your previous spins. 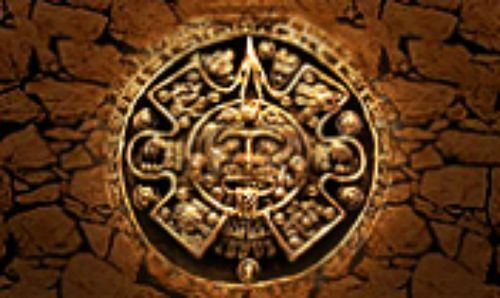 That’s right, a good internet connection on your device is all you need to play Eye of Horus, regardless whether you want to play it on a tablet or a smartphone. When it comes to operating systems, Eye of Horus supports iOS, as well as Android devices, so you’d be able to play Eye of Horus on your iPhone, iPad, as well as most Android devices – smartphones and tablets. Of course, if the small screen of a smartphone, or even a tablet doesn’t work for you, you can always try this game out on your desktop computer or your laptop, especially if you prefer full-size symbols and would like to get a better view of the reels. Not to mention that the sound quality is also better when you’re playing on a desktop device. We already mentioned that there are quite a few online slots with an Ancient Egypt theme, and here we have some of the top online slots that are similar to the Eye of Horus slot, i.e. feature a similar theme. A game with a similar theme and a very similar name, this NetEnt title was an obvious option and that’s why we listed it first. This game was released back in 2009, but it still looks pretty decent in terms of graphics. 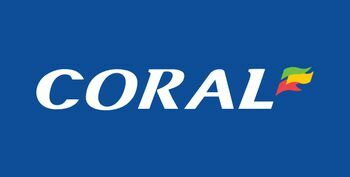 There are 20 paylines, and the minimum that you can stake per payline is 2p, which sets the minimum stake per game at 40p, whereas the maximum amount that you can place per game is £40. The game comes with five reels and three rows and the paylines are displayed on both sides of the reels. The control panel is a lot similar to other NetEnt games, so if you have ever played a game by this provider, The Secrets of the Horus slot will actually look familiar, at least in terms of controls and settings. Gamesys may not be one of the largest and most renowned and most popular online slots developers, but they have created a fair share of popular and commonly played games, such as Double Bubble, Secrets of the Phoenix and more. Queen of Egypt is the most popular game with an Ancient Egyptian theme by Gamesys. Visually, the game is quite original, and the RTP is 95.30% which is pretty much standard for an online slot. The game also comes with a standard five by three layout and a total of nine paylines. Cleopatra, a.k.a. the Queen of Egypt is the wild symbol here and if you get five Cleopatra symbols you will get one of highest in-game payouts. IGT are the providers that released the original Cleopatra slot, one of the most iconic games, but now let’s talk a bit about their Pharaoh’s Fortune slot which features 15 paylines and can be played with a minimum of 15p per game, or a single penny per line. This game also features five reels and three rows, and a winning combination can be activated with a minimum of two or three instances of the same symbol on the reels, the minimum number of symbols required to trigger a payout depends on the symbol in question. The maximum prize in the main game is 1,000 coins and it can be triggered if you get five instances of the scatter symbol on the reels. The game RTP is set at 94.78% and the Pharaoh’s Fortune was released back in 2014. Now, this is a pretty quirky game, in fact, Leprechaun Goes Egypt is a one of a kind mashup that combines Irish themed slots and Egyptian games. This game also comes with five reels and three rows with 20 active paylines. The maximum prize that you can win in the main game is 3,000 coins and this prize can be won if you get a maximum of five leprechauns across a line. This slot was released back in 2014 and it comes with two bonus features – Pyramid Bonus and the most common bonus feature – Free Spins. If you manage to activate the free spins feature you will get to pick one of the following three – Cleopatra Slots, Leprechaun Slots or Mummy Slots. The first includes five spins where your winnings will be multiplied by six, whereas choosing the Leprechaun Sins will result in ten spins where the winnings are multiplied by three. Finally, the Mummy Spins are 15 in total, but your winnings will only be doubled. 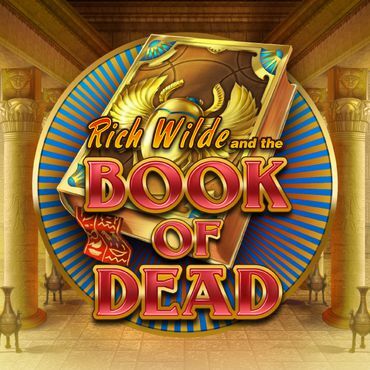 The full title of this slot is Rich Wilde and the Book of Dead, and in this game you get to follow Rich Wilde, a famous archaeologist who is on a quest to find the hidden treasures of Ancient Egypt. The game RTP is 96.21%, and you can play Book of Dead with a minimum stake of a single penny per payline. The maximum prize that you can win in this game is 1,000 coins. When you land at least three scatters on the reels the free spins round will be triggered. This feature can be retriggered if you get bonus symbols on the reels during free spins games. Book of Dead features a Gamble feature which you can trigger after every win if you wish to go double or nothing on your winnings. No selection of Egyptian-themed games could be complete without IGT’s Cleopatra – a game that was released back in 2006 and is probably the oldest online slots that is still played at a range of online casinos. In the meantime, a second version, a sequel of Cleopatra was also released, but the original game didn’t lose its appeal and popularity. Cleopatra also features 20 paylines across five reels and it can be played with a minimum of 20p per game, or a single penny per active payline. 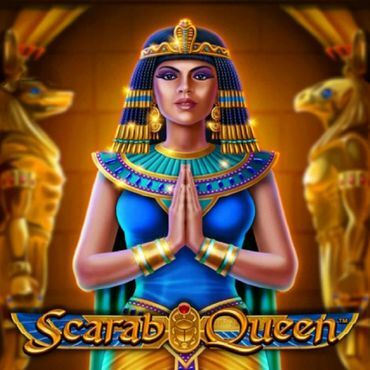 The Sphinx scatter symbol triggers the free spins bonus in Cleopatra. Since we already have Cleopatra in our selection of Egypt-themed games, it would be a shame not to mentioned the sequel – Cleopatra II. This game also comes with five reels and 20 paylines and it quite resembles the original release, although graphically Cleopatra II is a lot more advanced compared to its prequel. The second release is still an older game, it was released back in 2008. 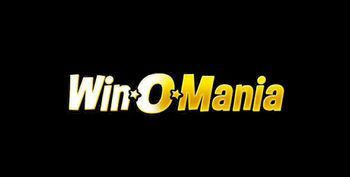 This game can also be played with a minimum wager of a single penny across a payline. The maximum prize that you can win in the main game is 10,000 coins. This one is a game by Play’n GO, and the symbols that appear on the reels of Legacy of Egypt are similar to those that appear on the reels of other games when it comes to the theme and the overall appearance, but they look quite exciting and visually advanced. Legacy of Egypt was released in 2018 and that is something that you can notice right away. 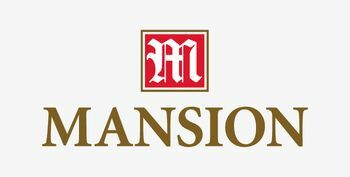 This game can be played with a minimum of 30p per payline, as there are 30 paylines in total. The maximum amount that you can stake on a spin on Eye of Horus slot is £90. The game features an autoplay option, and, not surprisingly, Cleopatra is the most valuable symbol in this game. You will find quite a few casinos listed on SlotsWise that offer Eye of Horus and all casinos that are featured on our site are licensed by the UK Gambling Commission, so you can be certain that your rights as a player will be protected and your personal data will not be shared with third parties. As a player, you need to be very careful, with Eye of Horus, with other slots and with online gambling in general. Typically, you’re not advised to increase your wager over 1% or 2% of your total bankroll. When you set your bankroll, make sure that you don’t plan on wagering more than what you can afford to lose. If you’re unsure whether you should be playing Eye of Horus with real money, perhaps you could try out the demo version of the game first and then if you like how the game works and its features, then you can register with one of our sites, claim your bonus and start wagering. Most importantly, if you’re playing with real money – stop when the fun stops. Once it stops being fun and instead you’re feeling like you have to make a wager, then you should just stop. Give yourself a break and return later or another day and if the feeling persists, then you should consider stopping for a longer period of time. Most casinos featured on SlotsWise will give you an option to exclude yourself, either for a limited amount of time or forever. We have already mentioned that Reel Time Gaming have developed and released Eye of Horus slot. This company was launched in 2009, and it is based in Queensland, Australia. So far, Reel Time Gaming have launched multiple dozens of slots and their games are available at many online casinos, including numerous sites that are listed here on SlotsWise. In addition to Eye of Horus, Reel Time Gaming have also developed – Fishin’ Frenzy, Bonanza, Pig Winner, Lion Dance and many more. Reel Time Gaming have released land-based as well as online slots, but Eye of Horus is a special case, as this game was originally released by Merkur Gaming, a company that has developed plenty of land-based slots, many of which are very popular in Germany. Merkur Gaming currently employ over 10,000 people. We have said quite a lot about Eye of Horus and there probably is a lot more that can be said about this game. If you like games with an Ancient Egyptian theme, we won’t have to tell you twice that you will probably like Eye of Horus, you will see it yourself pretty quickly. If you wish to play Eye of Horus slot, you won’t have to download anything, the game is available in HTML5 and you will be able to play as soon as you register and make your first deposit. If you like you can practice before you play the game with real money, as we explained above. Let’s go back to the Eye of Horus RTP for a bit. The payout percentage for this game is 96.31%, a tad higher than most other online slots. When it comes to variance, Eye of Horus is a medium volatile game, meaning that you could win fair amounts of payouts from time to time. So, make sure that you adjust your bets are adjusted accordingly. The volatility shows the winning pattern that the players can expect when playing a certain online slot game. If you want to play Eye of Horus slot, choose a casino from the list placed on the right of your screen, and once you claim your bonus, you can start playing Eye of Horus and a range of other online slots!